The Mini hatchback is one of our favourite small cars, and while we ultimately recommend rivals including the Seat Ibiza and Volkswagen Polo in most cases, there's still plenty to love about this stylish hatchback. It's proved a popular choice with UK buyers, too, with more than 47,500 Mini hatches sold in 2017. This new version, then, has a lot to live up to. 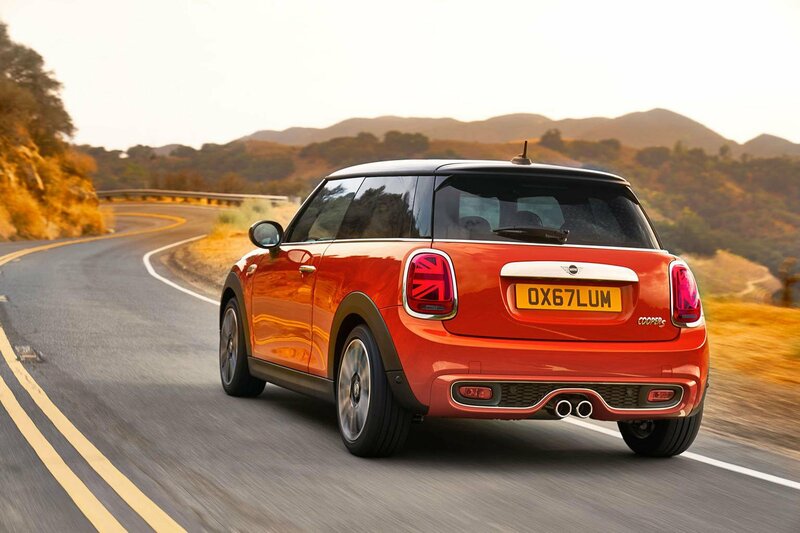 Since the Mini hatchback and its convertible sibling trade so heavily on looks, only subtle changes have been made to differentiate this updated model. Most obvious are the new standard-fit LED lights at the front and rear. Adaptive LED headlights – which automatically adjust their brightness depending on road conditions and dip when an oncoming car is detected – are on the options list for the first time. As well as a new logo on its bonnet, this refreshed Mini hatch also comes in three new colours, there's a wider range of design options – including decorative graphics and alloy wheels – for owners to personalise their cars. 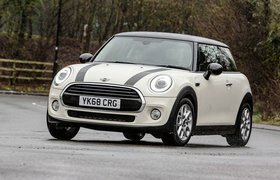 Most of the Mini's current engine options have been carried over for the three and five-door hatches, with the exception of the 1.2-litre petrol in the Mini One – that has been replaced with a new three-cylinder 1.5-litre petrol. This entry-level Mini has 101bhp and can reach 62mph in 10.1sec. It's also the most efficient option in the line-up, returning a claimed 57.6mpg with CO2 emissions as low as 111g/km. Elsewhere, there's the existing 1.5 and 2.0 petrols to choose from in the Cooper and Cooper S respectively, while the range-topping three-door John Cooper Works model can cover the 0-62mph sprint in a very respectable 6.3sec. If you do lots of motorway miles, then the sole 134bhp diesel engine offered in the One D will likely be your best option. 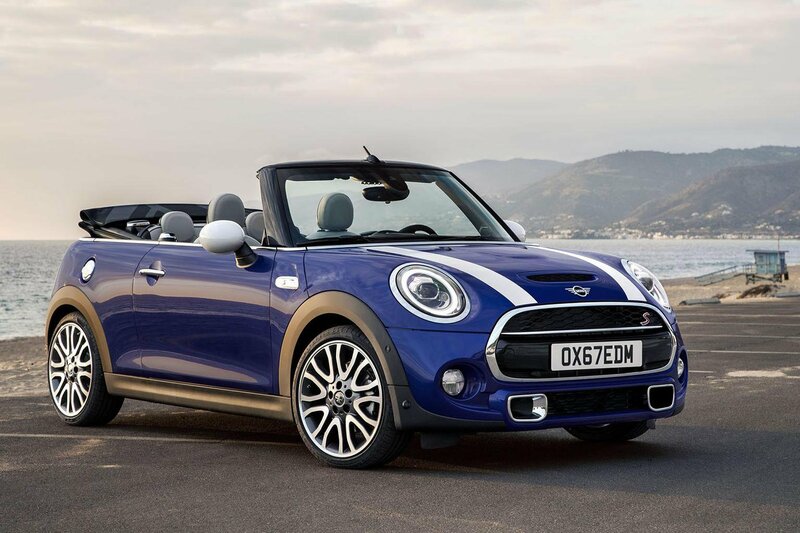 In the open-top Mini Convertible, that engine range is slimmed down to the core Cooper and Cooper S petrol variants, the John Cooper Works performance model. While all Minis come with a six-speed manual gearbox as standard, a new seven-speed automatic option is offered on most models. 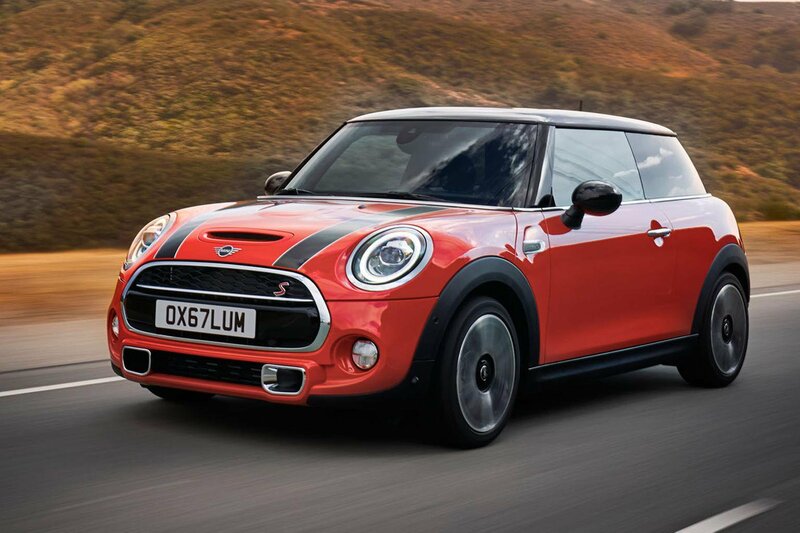 We've already tried the new gearbox on a five-door Cooper D model. As with the current Mini hatchback and convertible range, our favourite engine choice is likely to be the 1.5-litre Cooper, which offers the best blend of performance and fuel economy. 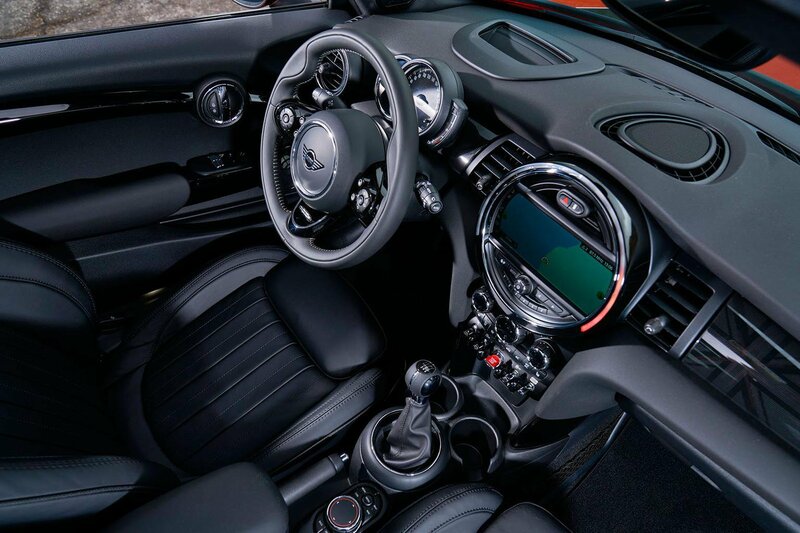 Standard equipment on the Mini hatchback and convertible range now includes a steering wheel with infotainment controls, a 6.5in colour infotainment screen with Bluetooth connectivity. 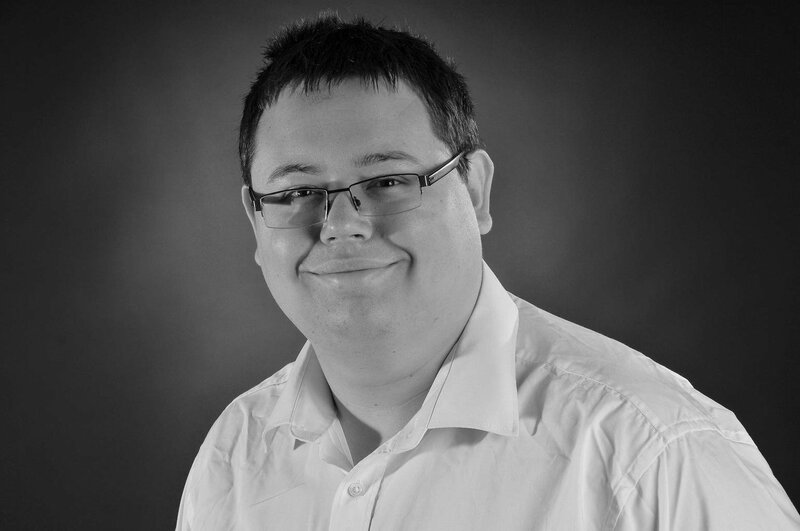 The system – based on parent company BMW's iDrive set-up and so is easy to use – can be upgraded with sat-nav and Apple CarPlay smartphone mirroring. Buyers can also opt for the Navigation Plus upgrade, which increases the screen size to 8.8in and adds wireless mobile phone charging, real-time traffic information and other connected services. Mini's popular Pepper and Chili option packs also get extra kit, with the Pepper Pack featuring 15in alloy wheels, automatic headlights, climate control and rear parking sensors. The Chili Pack, meanwhile, gets 17in alloys, part-leather upholstery, a sports steering wheel and a new sport driving mode. With current prices starting from £14,460 and £15,520 respetively, the three and five-door Mini hatchbacks are currently competitively priced against key rivals from Audi and Volkswagen – but don't expect to haggle the kind of discounts you can get on those cars. 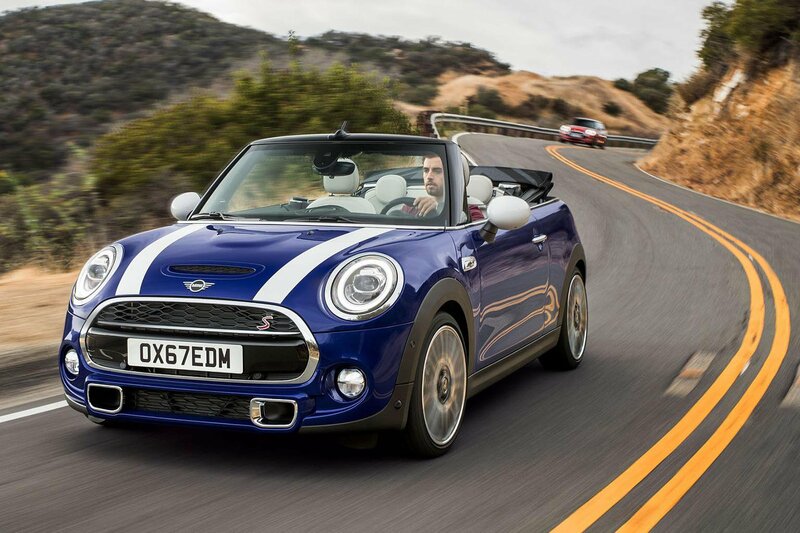 The Mini Convertible, meanwhile, is more expensive than its closest rivals but holds onto its value a lot better than other convertibles of its size. In all three cases, prices for these facelifted versions are likely to increase, but not substantially. We'd expect to see a starting price of close to £15,000 for the three-door hatch, rising to around £16,000 for the five-door model and just short of £20,000 for the Mini Convertible.